Pam has been in music ministry for almost 30 years. She was born in Bronx, New York, and lived most of her growing up years in northern New Jersey. She attended Lynchburg College, and graduated from Lynchburg General-Marshall Lodge Hospital School of Nursing in 1974 as a registered nurse. Pam spent her nursing career as a critical care nurse in the Intensive Care Unit. She studied Music Education at James Madison University, and graduated from Mary Baldwin College with a degree in Music History and Literature and Music Education. 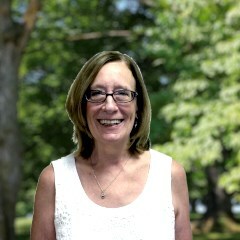 Pam served as music director at Staunton Alliance Church for 13 years and worked as choral director at Robert E. Lee High School from 2005 to 2010. She has served with Staunton Grace since 1996. Pam’s role as Director of Worship Arts includes three areas of responsibility: Worship Coordinator, Adult and Children’s Choir Director, and Coordinator of Drama ministry. Pam and John have been married since 1974.